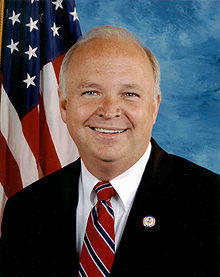 Former Congressman Jo Bonner has been named as Gov. Kay Ivey's new chief of staff. Ivey announced the change Tuesday, just one day after her inauguration for her first full term. Steve Pelham, Ivey's longtime chief of staff, is leaving to take a position at Auburn University. Ivey's office said Pelham will be the university's vice president for economic development and chief of staff to Auburn University President Steven Leath. Bonner served 10 years in U.S. Congress, representing southwest Alabama's 1st Congressional District. He joined the Ivey administration last month as the governor's senior adviser. Pelham's final day in the office is Tuesday. Ivey's office says Bonner will take over the responsibilities of chief of staff this week.